I rarely do backgrounds. Especially in paintings. So I wanted to try to do SOMETHING for a background in this watercolor painting. I really liked the way the lineart came out. I thought she was pretty and it didn’t feel right if I didn’t give her some sort of background. 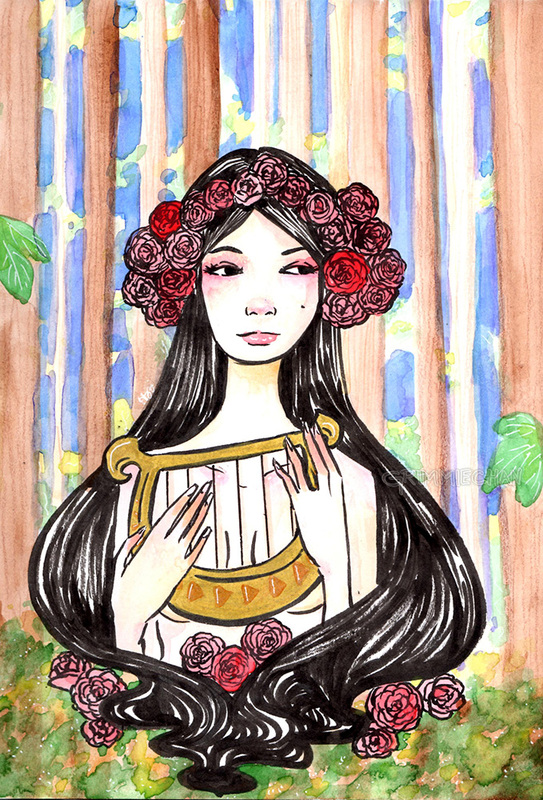 And I would say this is a lyre, but that’s just a tiny harp.